Indiana Grown is partnering with wineries across the state for the Indiana Grown Wine Trail. The trail features 30 wineries offering varying options for wine enthusiasts. 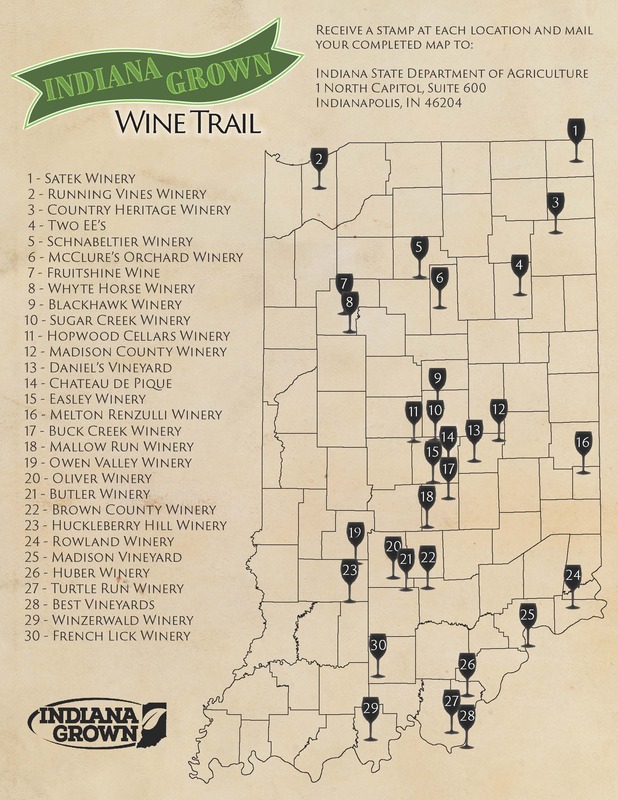 Trail maps will be available for free on the Indiana Grown website or at any of the participating vineyards. Guests can keep track of their visits by receiving a stamp on their map, which can be completed and mailed to Indiana Grown to receive a free wooden wine stopper. You can also see a map below.